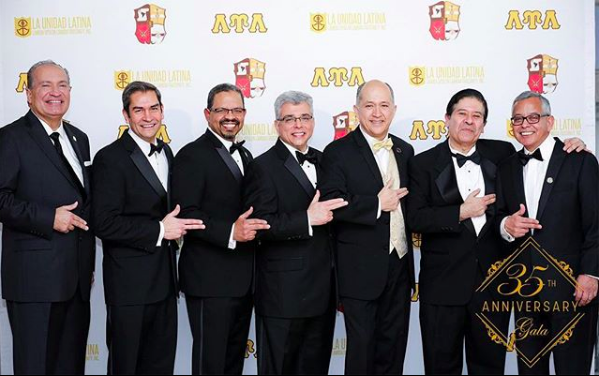 About LUL | La Unidad Latina, Lambda Upsilon Lambda Fraternity, Inc.
Thirteen visionary men founded La Unidad Latina, Lambda Upsilon Lambda Fraternity, Incorporated on February 19, 1982 at Cornell University, Ithaca, New York. Their Hermandad takes a role in meeting the needs of the Latino community through cultural awareness, community service, and the promotion of Latino culture and its diverse peoples. La Unidad Latina maintains a firm commitment to empower and enrich every community wherein one finds Latinidad. To this end, our Fraternidad addresses key areas of concern to the Latino community. Primarily, we concentrate on academic achievement, community service, and cultural awareness. La Unidad Latina, Lambda Upsilon Lambda Fraternity, Incorporated is looking for individuals with vision. Following our foundation, we sought to affiliate ourselves with men who exemplify determination, pride, merit, creativity, focus and commitment to accomplish the goals we had set for ourselves. The passion of our Hermandad helps to bring the many historical Latino accomplishments to this nation’s forefront and provide the tools necessary to achieve higher education. Hermanos share a commitment to our values and work together to develop our respective chapter, regional, and national communities into mature, intelligent, socially active, and culturally conscious groups of people. Hermanos support each other, and their communities, to excel academically and professionally. The fraternity confronts society’s shortcomings in meeting and addressing the educational needs of Latinos. Our Hermandad plans and sponsors academic programs: these programs aid in the retention, guidance and improvement of Latino academics. Whereas our Hermandad prioritizes academic achievement Hermanos of La Unidad Latina work diligently toward increasing the representation of Latino faculty, and students, within higher education. Realizing that recruitment is only half of the solution, we know that reaching out to our community is the first step. Please contact your local chapter of La Unidad Latina for more information, or potential co-sponsorship. Refer to the rest of this website for more information and do not hesitate to ask questions. Lambda Upsilon Lambda Fraternity, Incorporated.